Hi everyone I'm Jack Red, usually I don't talk about E3. To me either way I will find out what got announced later. I got to be honest some of these games I didn't expect to see. Fallout 76, Devil May Cry 5 and Resident Evil 2 remake. I just covered Resident Evil 2 remake not too long ago. There was also a trailer for SoulCalibur VI. I got a lot to break down within this blog. As a gamer whose a huge fan of these franchises. I felt some of you do have the right to know exactly what I think. Of course this is strictly my opinion on each game I talk about. I been proud of a lot of Capcom's moves more recently while some game companies like Konami losing ground fast. Originally was going to be Fallout 4's multiplayer. Fallout 76 allows many fans to recreate their fantasies together online. The same team already brought The Elder Scrolls franchise to MMORPG. This format allows a lot more than your standard Fallout game. They already stated this will be four times bigger than Fallout 4. If you played most of Fallout 4 then you have an idea how big this game will be. Xbox One also has Fallout 3 & New Vegas for more fun. At least Xbox thought ahead when people couldn't get Fallout 76 or 4 yet. This will be a new kind of Fallout experience. Imagine Fallout Shelter but on a much bigger scale. A lot of people love modding these games. Trust me a lot of these mods are pretty sick. 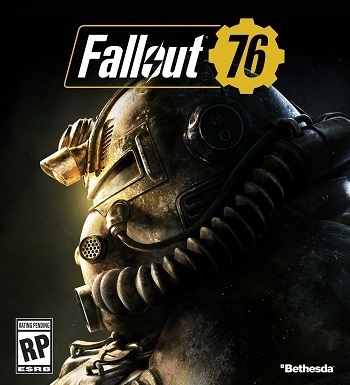 Fallout 76 will be one of the most ambitious games to ever hit any game consoles. I hope they allow you to be able to play by yourself. These are the kind of games you really need to be prepare or you will die a lot. I thought the trailer itself sold me on buying it. My wife also wants to play this game. Can you blame her lol just can't wait to see how crazy this game can get. Fallout 3 with Broken Steel & Fallout 4 makes the game endless. I'm sure we will be getting there right off the bat. What I'm curious about is how high the level go this time. A lot already has been confirmed for Soulcalibur VI. It will be a new time line similar to what Mortal Kombat did a few years ago. In a nut shell this is a new Soulcalibur 1. The guest character this time is from The Witcher series. Geralt of Rivia will be similar to some characters. This game looks & sounds absolutely amazing. 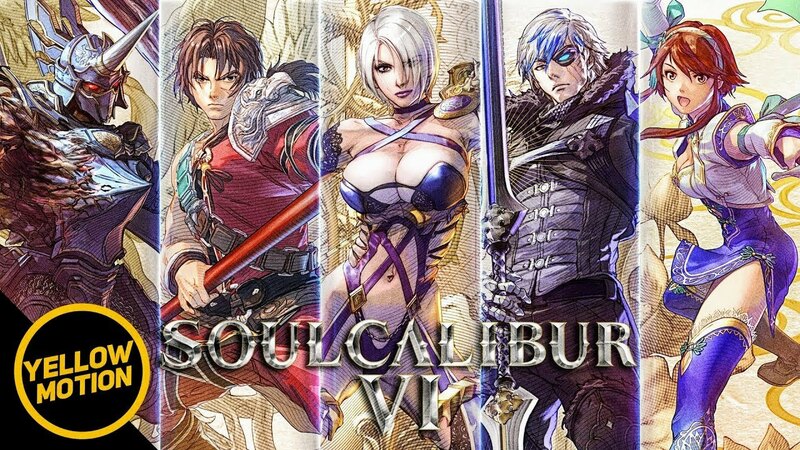 Soulcalibur VI probably went this toward because of Soulcalibur V. Don't get me wrong it was better than Soulcalibur IV but it did have some major flaws. I do believe we will be getting a Tekken 7 kind of good fighting game. Considering the same guy from Namco works on both franchises why not right lol. This franchise was one of the first to star guest characters. More recently, guest characters has been appearing all over the place. Some horror movie icons appeared in Mortal Kombat 9 & 10 and Dead by Daylight. Tekken 7 brought in a handful of video game characters from different game companies. Soulcalibur VI will push the limits in every possible way. I been a fan since Soul Edge game on PlayStation 1 yes that far back. A lot of people get confuse to believe Soulcalibur 1 was the original. When in truth it was the first sequel to a well received fighting game franchise. Soulcalibur VI should be one of the finest games ever made. I always speak highly of customizing existing characters or creating new ones from this series. Obviously a lot of trailers including the new one at E3 revealed a lot of major stuff. The new trailer sold me even further to buying this game. I already knew by experience it was worth having in my collection. Also I hope in time for it, Microsoft puts Soulcalibur IV and V on Xbox One's backward compatibility. Oh hell yeah the rumors were flying around. You can tell I was very excited about Devil May Cry 5. I already covered the series as well as my reasons why their better than Sony's God of War series. Nero gets to be the main character again. Although his appearance greatly changed from Devil May Cry 4. I noticed they replaced his demon arm with a robotic one. Dante appears at the end of the trailer shown at E3 riding towards us on his motorcycle. WOW he is getting old but at the same time I can accept it was him. This guy took down powerful demons including god like beings. He is like Marvel's Wolverine in so many ways. I hope DMC5 is good enough to not have to do a special edition. Don't get me wrong DMC3 & 4 had amazing special editions. I felt those versions we should've gotten first. I don't want to feel the same way about DMC5. I been a huge fan of this series for a long time now. I always looking forward to the awesome songs & crazy moves you get to perform. Also how creative some boss fights going to be. Obviously some fans still want to push themselves to insane levels. It's no secret this franchise can push pretty hard. Some of the most difficulties in Capcom video games. Yes even rivaling Ghouls n Ghosts franchise I'm not kidding. I do expect they will push the insane level of challenge even further. 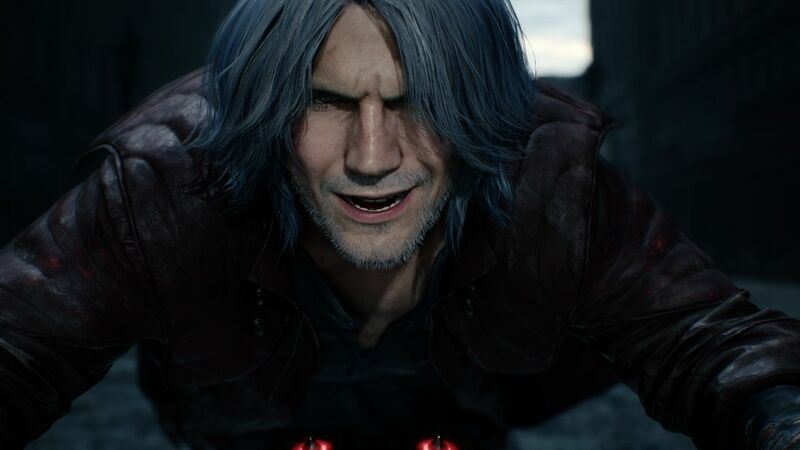 I also hope Devil May Cry 5 will scream in a loud voice it isn't going anywhere soon. I want to be mind blown how damn good it could be. I can tell by the trailer that we're in for one crazy game. I also enjoyed DmC reboot game more than I expected. It could be more than that with this one who really knows.